Manchester City can become champions this weekend if they beat their city rivals in their own backyard. If they get the win it will be Guardiola’s first Premier League title which he will be adding to his 3 La Liga, 2 Bundesliga and 2 Champions League titles as well as 13 other trophies. 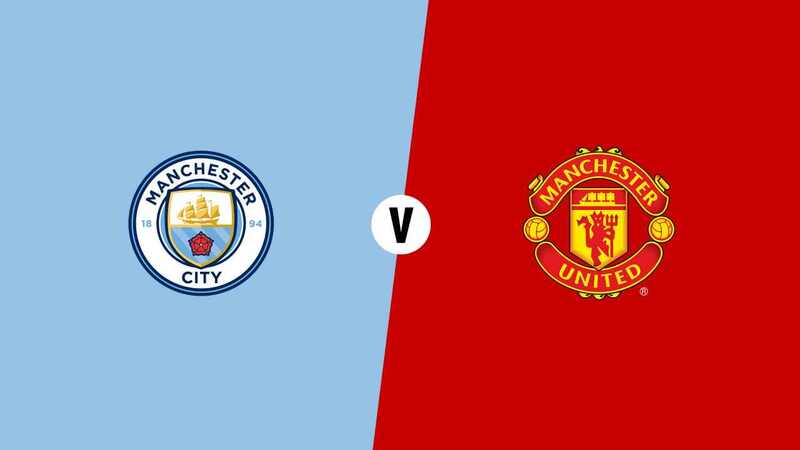 It is a foregone conclusion that the League title will be heading to the blue half of Manchester but it would make it that little bit sweeter if they can clinch it at home to their rivals from the red side of the city. Guardiola’s men would become the first team to win the title with 5 games to spare which is one of a number of team and individual records that will be broken by them this season. Manchester United will be disappointed after suffering an early exit from the Champions League and being unable to challenge in the Premier League but an FA Cup win and 2nd in the league would still show some year on year improvement. Mourinho has been criticised for his team’s lack of attacking play in important games but a draw is all that’s needed to delay their rivals celebrations. After a 1-1 draw at home to Everton at the start of the season, Manchester City have won their next 14 home games on the bounce. The champions elect could still be feeling the effects of their emphatic loss at Anfield on Wednesday and will have one eye on the 2nd leg next week. This could open the door for Mourinho to spring a surprise at the Etihad or there could be a backlash it all depends on how City respond. United also come into the game in decent form having won their last 4 games in the league which includes wins over Chelsea and Liverpool although both wins came at Old Trafford. Their away form is not so impressive after only taking all 3 points once when playing at a big 6 team. That away win came against an Arsenal side who are struggling to keep pace with the rest of the so called big 6. I’m expecting Mourinho to play for the draw as 1 point will see Manchester United remain favourites for second place with Liverpool sitting 2 points behind after playing an extra game. In all honesty a draw at City is a very good result, I just wish Mourinho knew how to do it without sucking the life out of the game. The fixture sits in the middle of Manchester City’s Champions League quarter final with Liverpool which will take precedence over the Manchester derby in terms of team selection. The first leg ended 3-0 to Liverpool and Manchester City will be focussing on the mammoth task at hand in the 2nd leg on Tuesday. Some players will be rotated to keep them fresh but Guardiola will know that confidence is everything and they will need a boost after their Anfield display. Aguero is still a doubt but could make an appearance from the bench to try get some game time before the Champions League returns. Mendy is still a long term absentee but other than that Guardiola has everyone available. I would expect some players that didn’t start mid week to get a chance to win the title for City. The likes of Bernado Silva and Raheem Sterling could be thrown in from the off with Delph potentially regaining his left back role and a potential chance for John Stones to impress. Manchester United also have a full selection of players with Blind, Jones, Rojo and Herrera all back in contention. Mourinho will want to stop the celebrations and take advantage of a wounded Manchester City but I still expect a cautious and defensive approach from Mourinho which could be reflected in his team selection. After every loss this season City have responded well and I don’t see why they won’t respond again. After playing in a very hostile environment they are back infront of their own fans with a chance to win the title. Manchester United could frustrate them and end with a 0-0 or 1-1 but I am going to go for a 2-0 City win.